Have your fill of delicious (and free!) food today on the lower level of The Nest today. Save that lunch you packed for dinner, keep your wallet in your pocket and enjoy with fellow students while you sit on rugs and chat over chai. 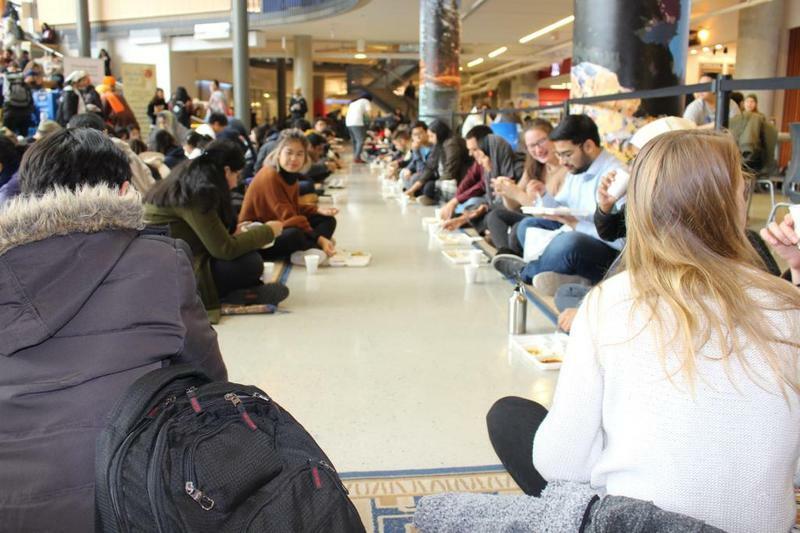 The lunch is put on by the Sikh Students Association (SSA) here at UBC in conjunction with Langar, a Sikh principle of giving free meals to all who come. Part of the experience is sitting with all the other diners on the rugs provided by the SSA, as a way of breaking down barriers and showing the equality of humanity. The food is from a registered kitchen and fully permitted by Vancouver Coastal Health. In the past the event has had a nice spread of Indian food and chai. So, stop by the Nest and sit with your fellow students while you eat up some food — hearty, free food.